Here are my two favorite Voice winners! #TeamBlake of course :) They're both just getting started in their careers and I’m happy to have them in country music and on country radio! Carrie looked stunning as always. And the royal couple of country music….Blake and Miranda! Come on, who doesn’t just LOVE this sweet couple?! Not only are they both extremely talented but they are such a great pair. Miranda is just stunning. Brad and Carrie opened the show with their usual cheesy sketch incorporating pop culture and even some politics…I LOLed at their Obamacare joke. 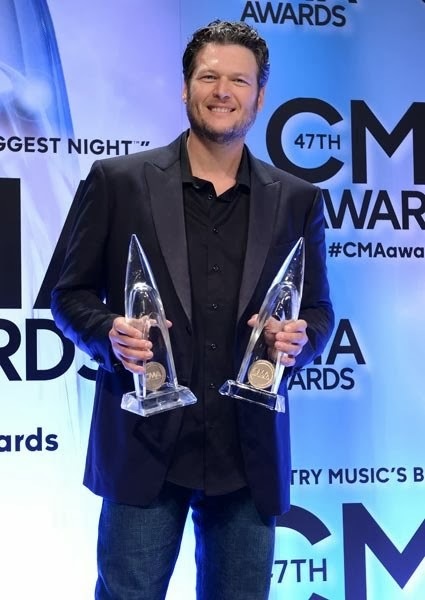 I was THRILLED to see Blake Shelton win both Male Vocalist of the Year and Album of the Year. He really has had a huge year and he deserved it! Florida Georgia Line kind of stole the night! 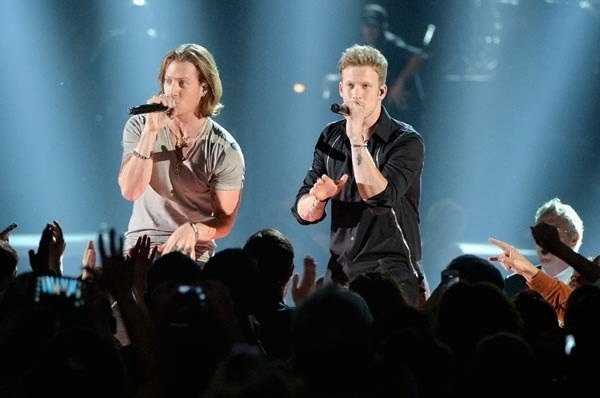 They performed in the opening number with Luke Bryan, had their own set later in the show and scooped up two CMA’s! Congrats guys! Love their music. I loved the performances by Lady Antebellum, Little Big Town, and The Band Perry. They all did fabulous and I loved the new music they shared. Hillary Scott of Lady A looked DASHING after having her sweet baby this summer. The most exciting award of the night, though, was the big one. Entertainer of the Year went to George Strait! It was such an appropriate way to go out. He took his last tour this year so I would say this put a nice cap on his career! It's almost the weekend! Happy Thursday! I LOVE the CMAs! I can't believe I missed this last night! Great recap. I wish I had a chance to watch the CMAs!! But thanks for the overview!! Love Carrie and Brad ... they're hilarious people!